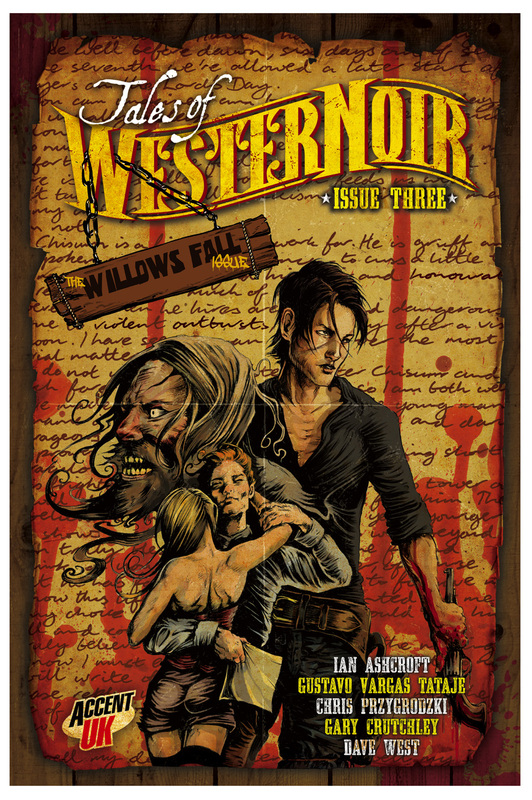 Issue 3 of Tales of WesterNoir is almost ready for the printers. 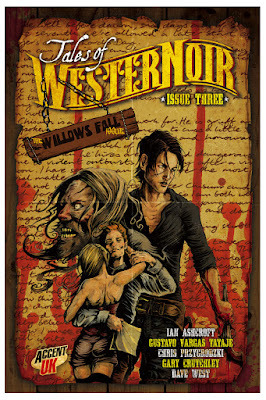 This is the special Willows Fall issue, which tells a huge piece of the backstory of Josiah Black. Gary Crutchley and I do the writing honours as always, and as always we have some talented artists helping us out. Three new artists in fact : Ian Ashcroft (who produced the art for the cover), Gustavo Vargas Tataje and Chris Przygrodzki. All work wonders bringing the stories alive in a larger edition than is the norm for the Tales comics. The comic should be available at the Liverpool MCM event on the 11th and 12th of March. First Glasgow visit of the year. As my daughter is currently studying at Glasgow University I'm expecting to see quite a lot of the city over the next 4 years. Last weekend was a flying visit, it's a long train journey from Euston, but it's been a while since I saw Jemma last so it was good to be able to pop up there even if only for a couple of days. It was great to see that Jemma is really enjoying her course, and that the lecturers and tutorials are bringing her on in leaps and bounds. She always been passionate about her subject but she's growing in confidence and knowledge each time I see her. I'll have to keep on my toes in order to keep up. The visit was over too quickly of course but I'll be up there again before I know it. Hopefully it'll be a little warmer next time though.